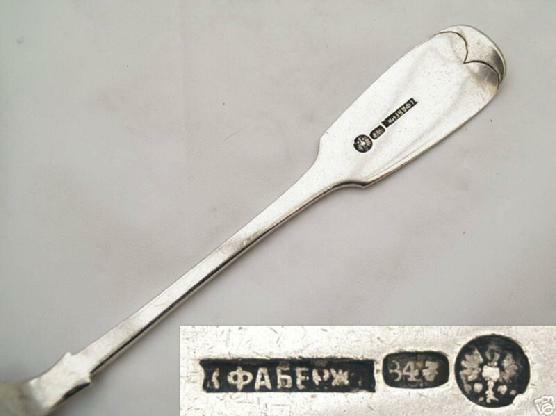 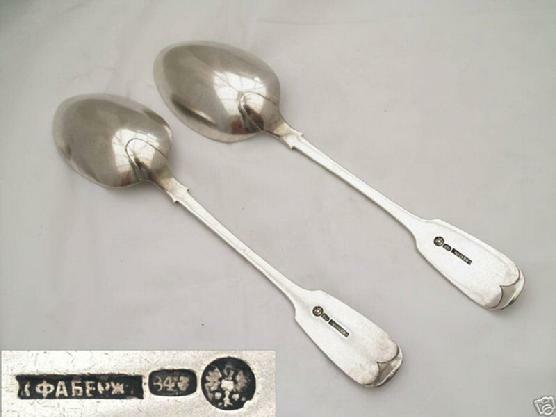 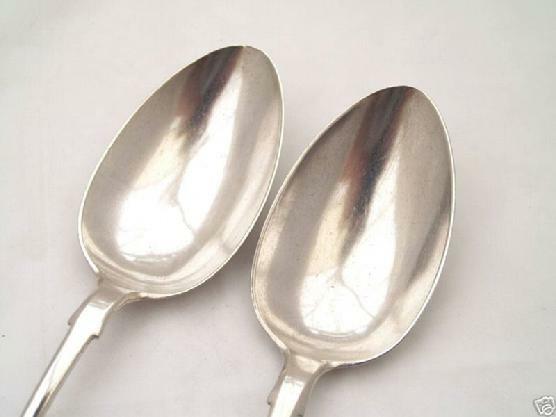 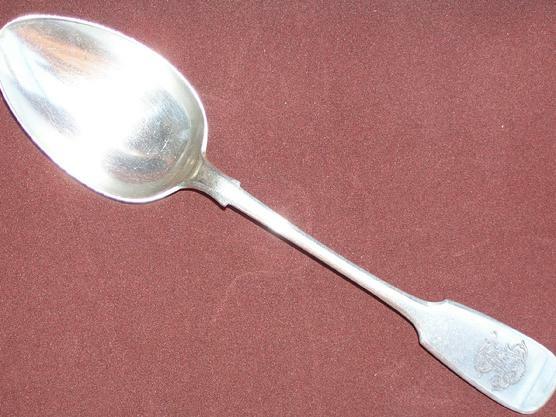 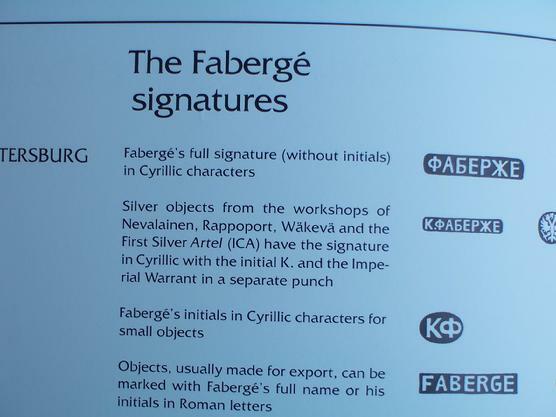 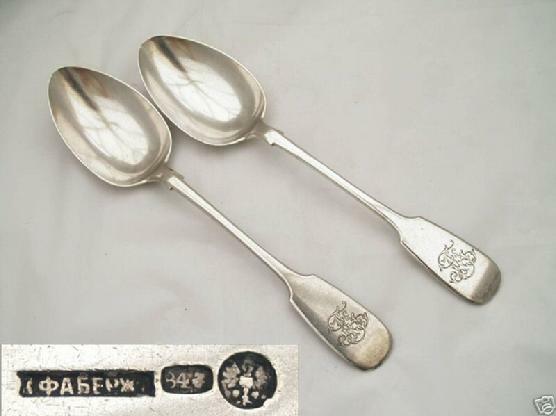 Genuine Large two silver dinner spoons by Faberge, Moscow, circa 1890's. 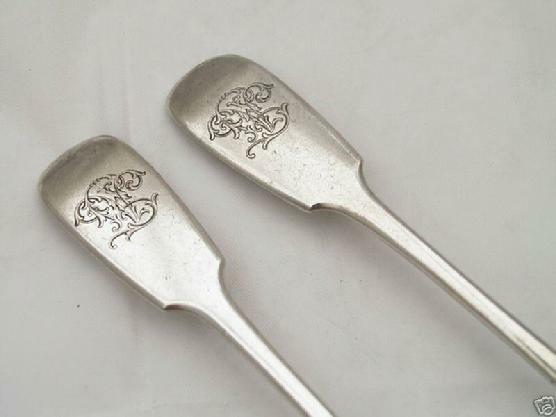 Monogramed, original and rare. 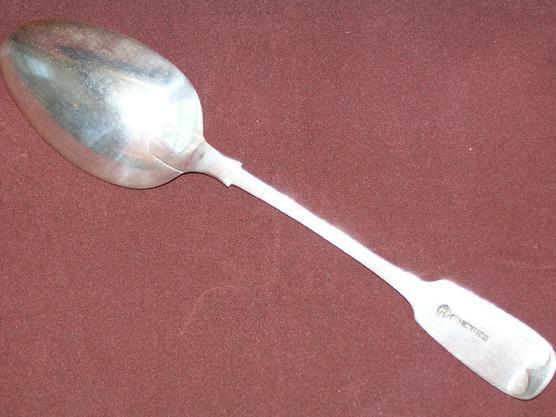 Length: 9.0"or 22.5 cm.each.Extra big and heavy. 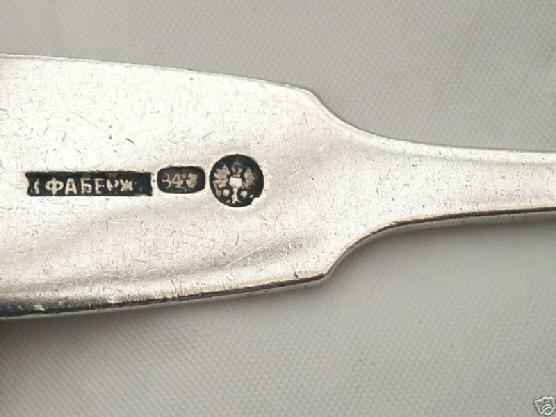 ( К.ФАБЕРЖЕ ) in Cyrillic with the Imperial Warrant.